Our lessons are fun and instructive with the additional aim of instilling in our younger, teenage and adult students the commitment and enthusiasm for learning their instruments. Our talented tutor team are fully able to demonstrate technique, music theory and provide practical advice for their chosen instrument and related equipment. 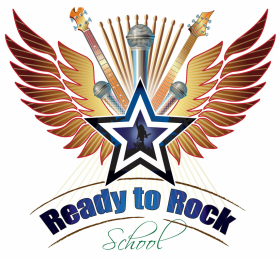 Add in to that potent mix the experience of song craft plus band skills and our lessons provide the comprehensive Ready To Rock School and ROCKSCHOOL learning framework for all aspiring rockers! One hour lessons are available in guitar, bass guitar, drums and vocals from 9 years old to adults. 3 fantastic LIVE LESSON charity rock gigs PLUS..... VICTORIOUS FESTIVAL!! ​PLUS more gigs around the local area and even the chance to get up on stage with T-S & The Young Blades too!! For all information on adult, teenage and junior lessons including family discounts 'Ts and Cs', please contact us for further details.